The Sunflower State allows residents to enjoy tax-free inheritances. Losing a loved one is hard enough without the added worry of how you'll pay the taxes on your inheritance. When you receive money or property after someone close to you dies, this income could be subject to taxes at both the state and federal level. While each state sets its own laws regarding inheritance taxes, the majority of U.S. states, including Kansas, do not have estate or inheritance taxes in place as of 2013. While the terms "estate" and "inheritance" taxes are often used interchangeably, these terms actually refer to two different types of taxes. An inheritance tax applies to an individual who inherits money or property. Every individual who inherits part of an estate is responsible for paying inheritance tax on his portion of the estate. Estate taxes are charged to the estate itself at the time of a person's death. The executor of the will pays this tax at the time of death directly out of the value of the estate. Heirs are not responsible for the estate tax unless the executor fails to pay the tax. 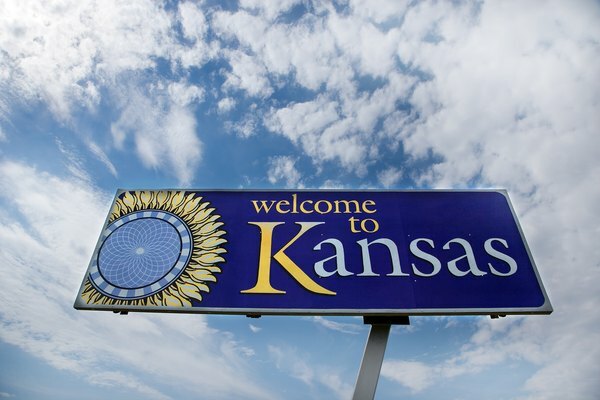 Kansas eliminated its state inheritance tax in 1998, and has not reinstated an inheritance tax as of March 2013. If you received property from someone who died after July 1, 1998, you do not owe any inheritance tax to the state of Kansas. Kansas maintained an estate tax similar to the federal estate tax through 2010. Generally, the estate tax in Kansas was set to match the federal filing threshold from 1998 to 2007. This means an estate was exempt from estate taxes in Kansas if the value of the state fell below federal thresholds set for each year. These thresholds varied from $625,000 in 1998 to $2,000,000 in 2007. Kansas began to phase out its estate tax in 2008, and completely eliminated the tax in 2010. As of 2013, estates in Kansas are not subject to a state-level estate tax. The federal government does not charge an inheritance tax, but does maintain an estate tax. As of 2012, only those estate assets in excess of $5,120,000 are subject to the federal estate tax, which has a maximum rate of 40 percent. In 2013, this minimum estate tax threshold increased to $5,250,000. Estates valued below these amounts are completely exempt from federal estate taxes. As of 2013, only a few states impose an inheritance tax: Indiana, Iowa, Kentucky, Maryland, Nebraska, New Jersey, and Pennsylvania. Tennessee also has a tax called an "inheritance tax," but it effectively operates as an estate tax.